Cima Cadin has gained a lot of fame on instagram. It serves as the dramatic backdrop for many adventurers who want to recreate the same photograph, they saw on another popular account. 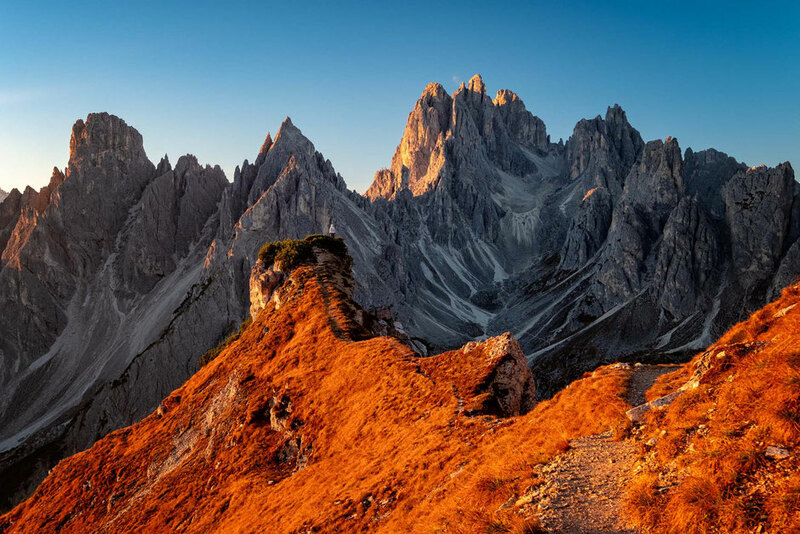 Few realize that one of its summits, Cima del Cadin, thanks to a network of ladders installed along one of its faces, is relatively easy accessible . It's not for the faint-hearted! 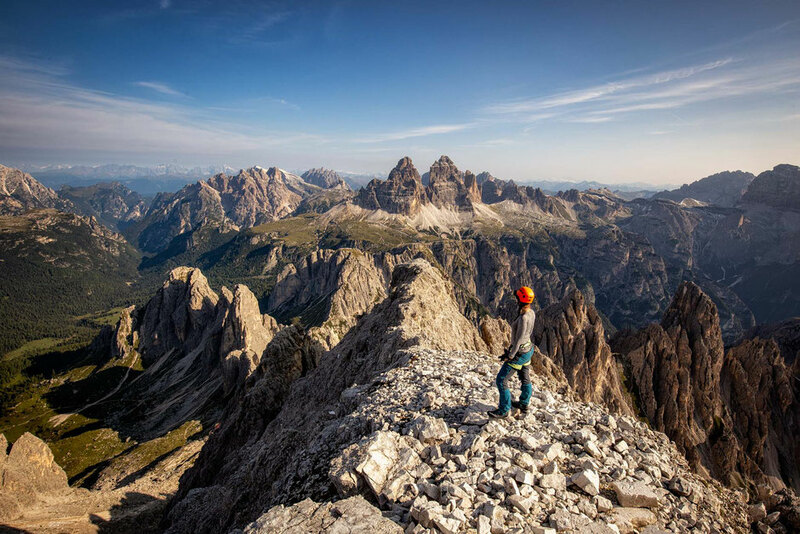 Summiting to the top of Cima Cadin along via ferrata Merlone will make your heart skip a beat a few times. The ferrata starts at rifugio Fonda Savio. To reach the hut, when driving from Misurina (the nearest town) follow the road to Lake Antorno. Before reaching the lake, you will see a sign for rifugio Fonda Savio, leading onto an unpaved forest road. There is an ample parking area, where you can leave your car. From the parking lot follow the hiking path nr 115 for about 1,5 hour to reach the rifugio. It's very well maintained and signposted hence getting lost is almost impossible. Around two thirds of the way up you will be able to see the hut. The first stretch of the path past rifugio Fonda Savio. From rifugio Fonda Savio you will need to follow the signs for via ferrata Merlone. Start walking up along a scree path away from the hut. Make sure to look back. 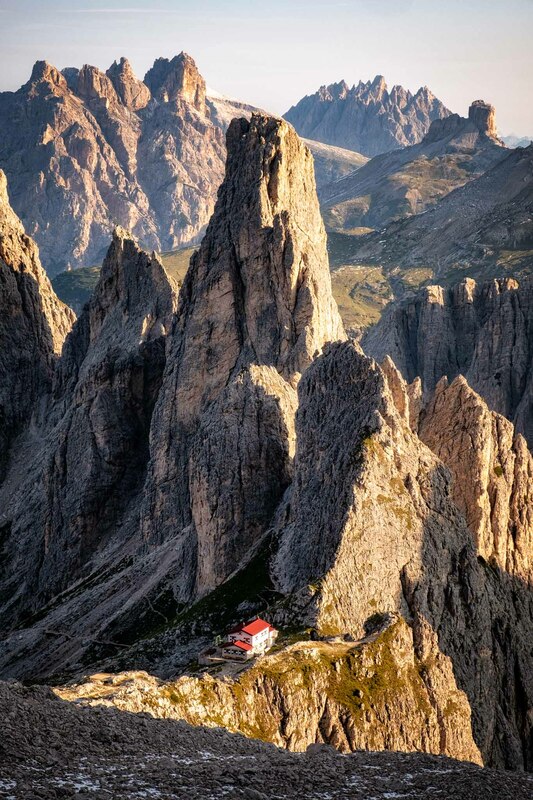 Fonda Savio is one of the most photogenic mountain huts I have stayed at when researching for my guide to the Italian Dolomites. 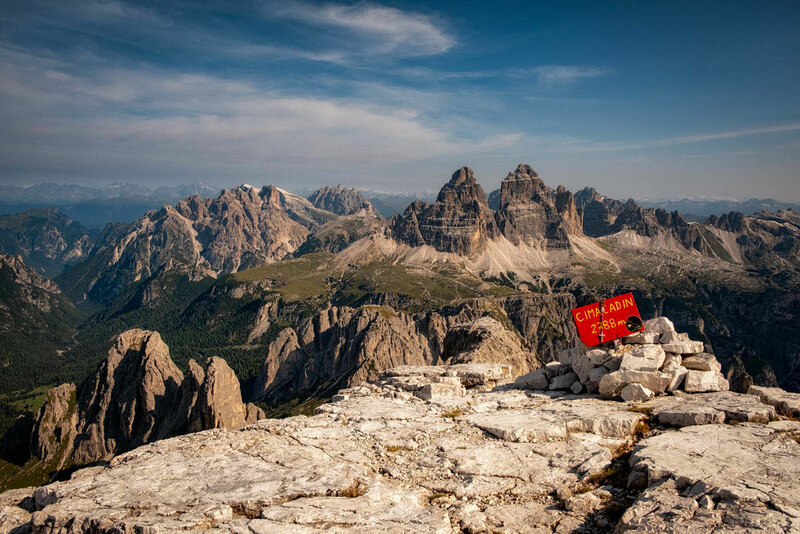 After couple of hundred meters the South face of Tre Cime will slowly emerge from behind the spires (photo above). The path eventually comes to an abrupt stop. The markings aren't clearly visible. The path is there, you will just have to pay attention not to veer of it. 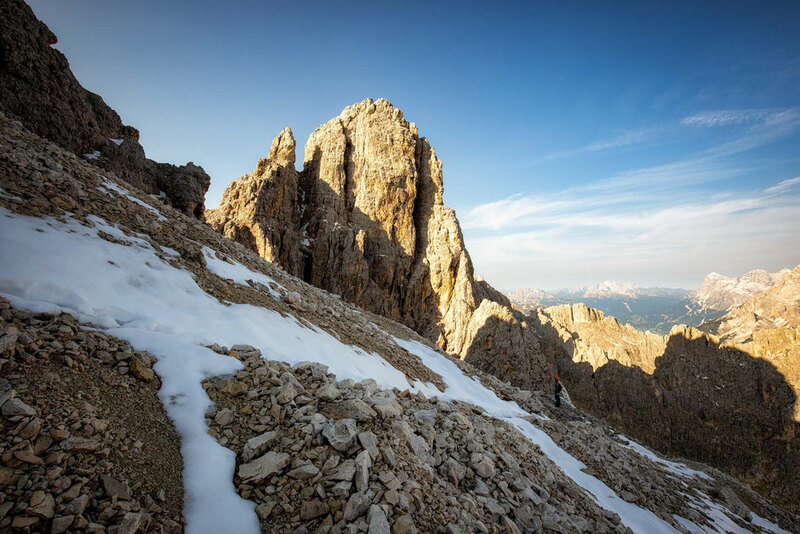 Up until now you were walking on the right side of the gully, but you will have to cross to the other side and keep your eyes peeled for the ladders and cables attached to the face of Cima del Cadin - you objective for today. Once you get to the wire and ladder section you will start gaining elevation quickly. It's like climbing on a huge scaffolding. 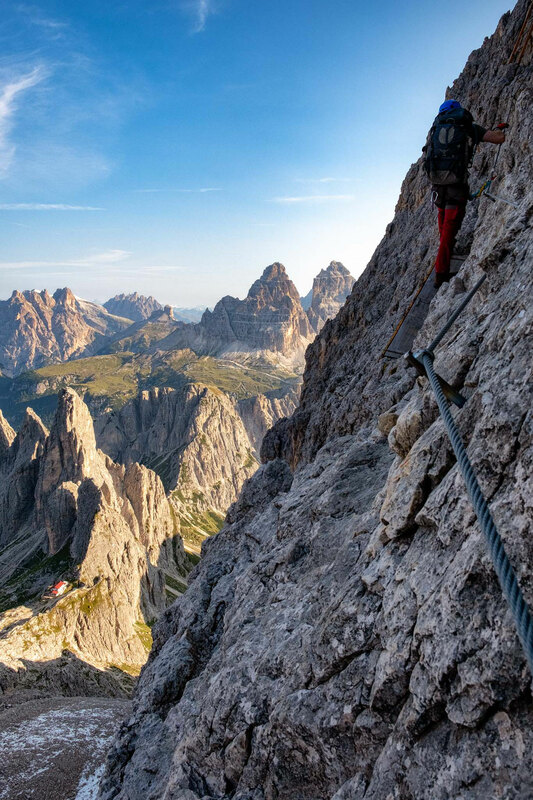 The wall of Cima del Cadin looks intimidating, but in comparison to via ferrata Torre Di Toblin, which I completed only a few days before, I found via ferrata Merlone to be very straightforward. The only real obstacle may be in your mind. If you are scared of heights, then being on a ladder attached to a wall, hanging couple of hundred meters above the nearest flat area may not be for you. The exposure is real! Make good use of those cables! Eventually the seemingly endless ladders and cables come to an abrupt end. Ca. 30 minutes away from the summit you will come across an airy pathway (photo below). 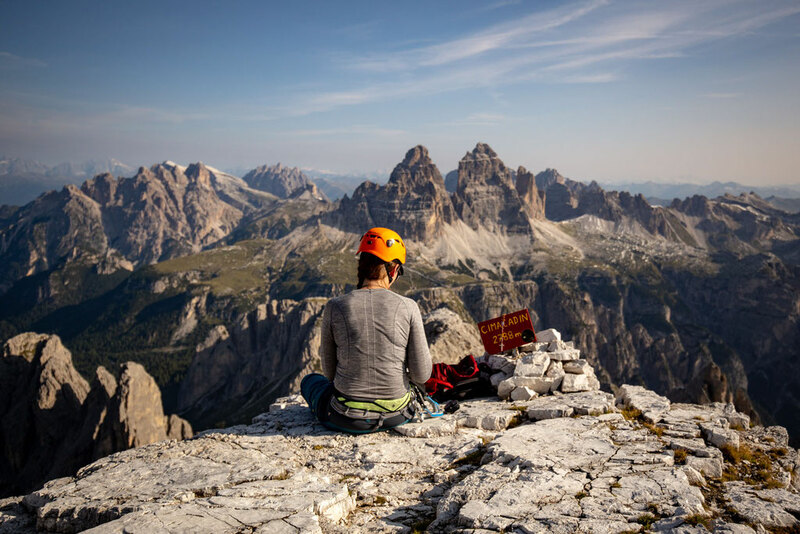 Enjoy a few minutes of rest from climbing and a great view of Cadin di San Lucano to your right. Continue following the red paint marks before you reach the last section of cables and ladders leading right to the top. As per usual, the views from the top are nothing short of spectacular. The Fonda Savio hut, where you set off from, is a tiny dot far below. The famous three peaks are visible straight ahead. To your left and right sheer drop few hundred meters down. 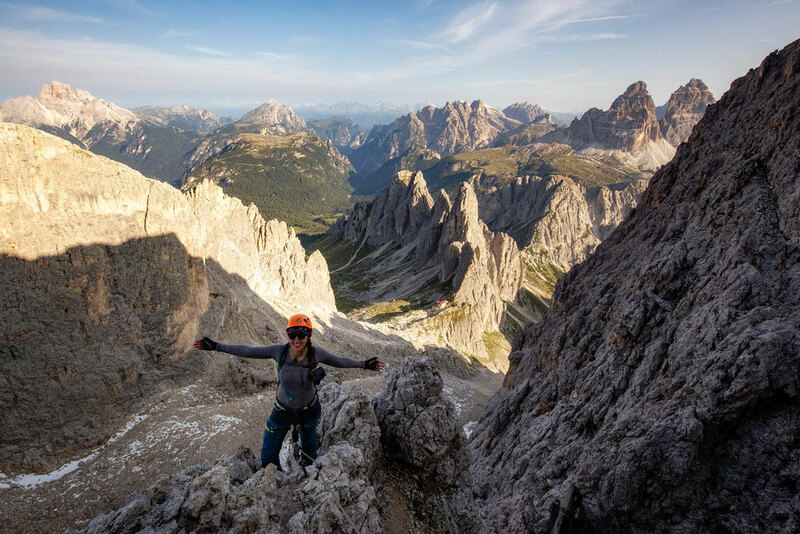 Give yourself a pat on the back, you just ticked off another one of the most exciting via ferrata in the Dolomites! Now it's time to retrace your steps. The way down follows exactly the same path. Make sure to be aware of what's happening below. 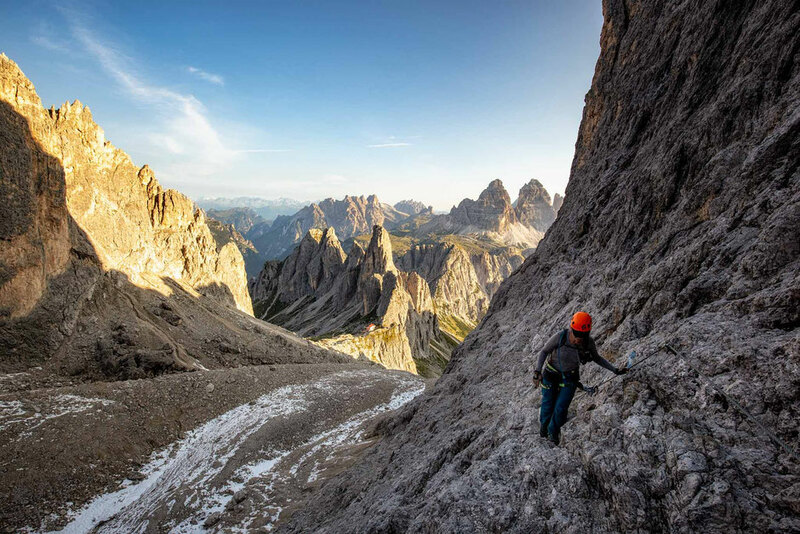 Via ferrata Merlone is quite popular, so don't expect to be alone. If you see other people ascending make sure to give each other space, use the ladders only one at the time and if you happen to set off any rocks flying, shout "below" to give a proper warning. To ensure an early start I highly recommend an overnight stay in the Fonda Savio hut. The total time, including the ascent and descent to and from Fonda Savio Hut will take 5-6 hours. 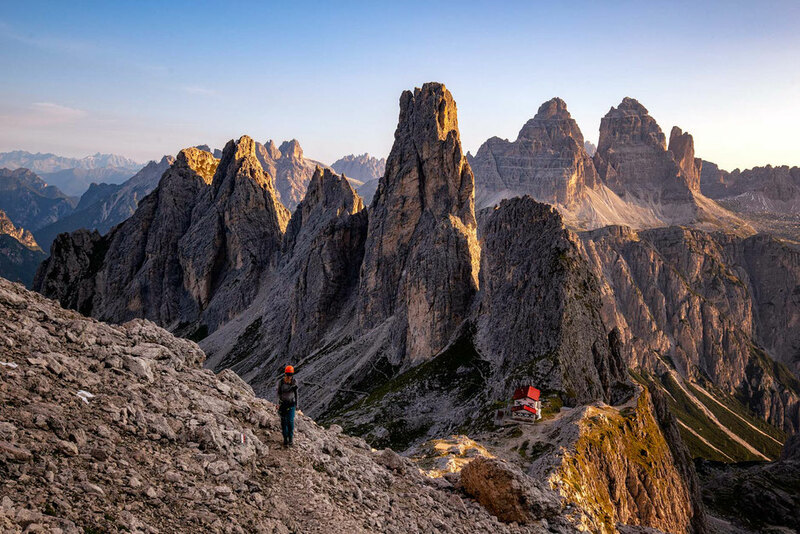 As always if you have any questions about this via ferrata or travelling in the Dolomites make sure to write them in the comments below! 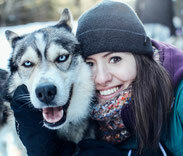 I am Marta Kulesza - the photographer and creator of www.inafarawayland.com. I come from Poland, but I've been living, travelling and working around the globe since I turned 18. A few years ago, during one of my trips to Scotland, I bought my first DSLR and my adventure with photography began. When I am not stuck to my computer editing photos, you can find me hiking somewhere in the mountains.